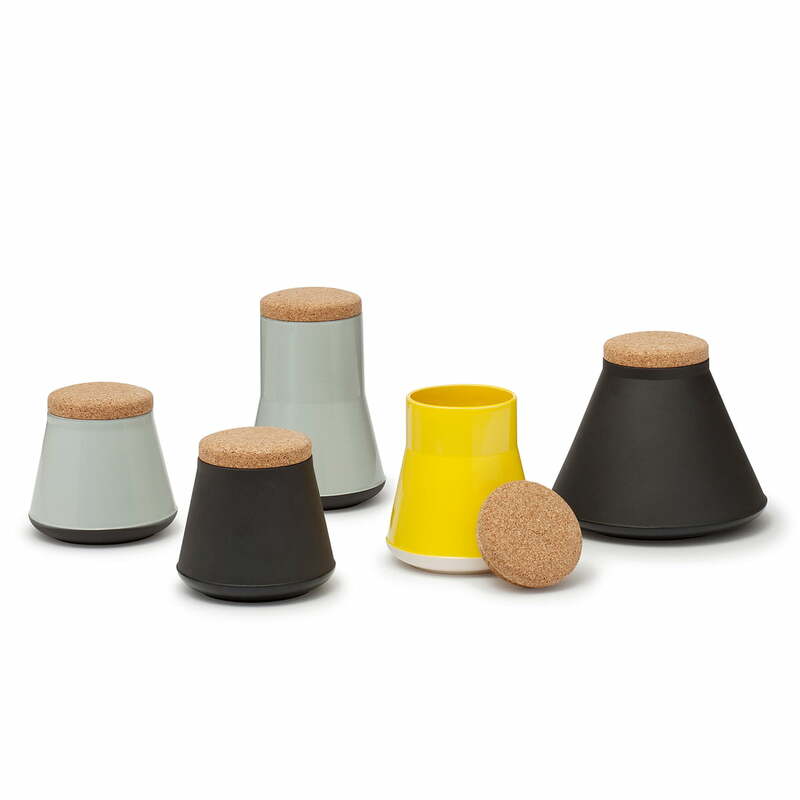 Established & Sons ceramic containers can be used in many different ways and are distinguished by their practical and aesthetic advantages. 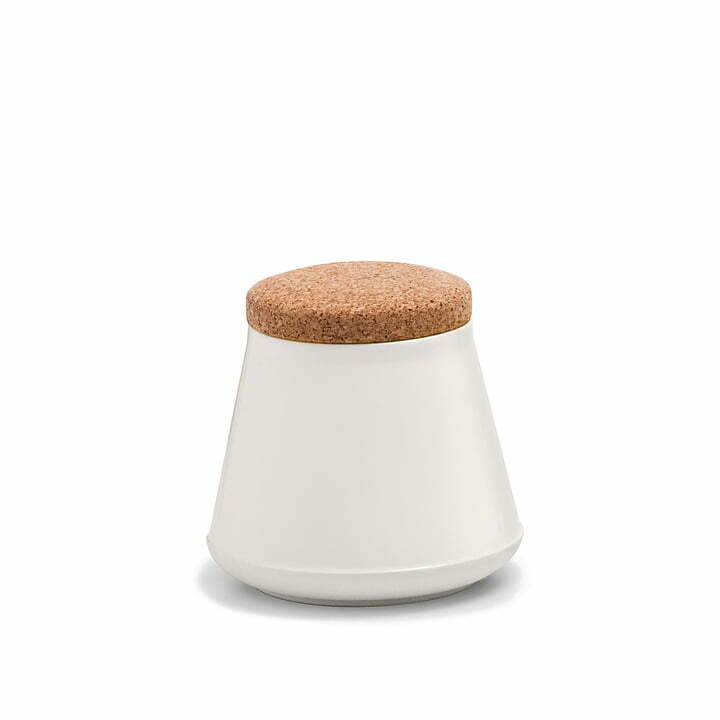 While the container is made of glazed ceramic and is available in various shapes and sizes, the lid is made of cork and sits firmly on the container thanks to a silicone seal. The two materials harmonise perfectly and form a stylish combination of elegant and natural elements. Used in the kitchen, it can be used to store muesli, nuts and other dry foods, for example. In the bathroom, however, the ceramic contaienr can be used to store hair slides or cosmetic articles and without a lid it can be used as a vase with fresh flowers or twigs. While the container is made of glazed ceramic and is available in various shapes and sizes, the lid is made of cork and sits firmly on the container thanks to a silicone seal.